The Whirligig® is a fully guarded target for easy mounting of motion sensors. It is a universal shaft sensor mount suitable for all industry standard cylindrical (18 and 30 mm) or DIN style inductive sensors including 4B's M100, M300, M800 Elite and Milli-Speed sensors. 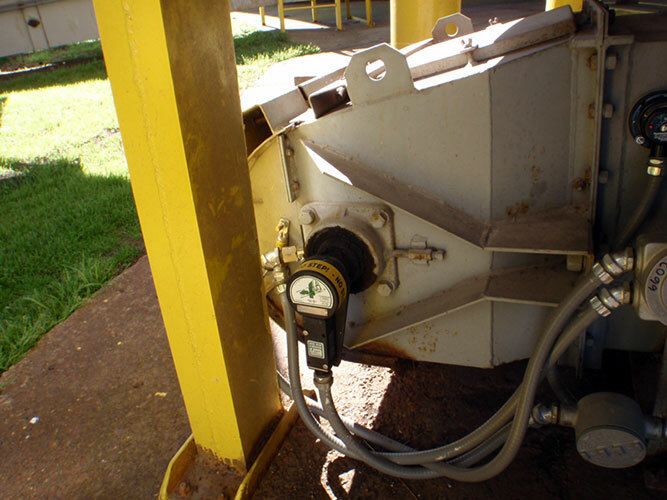 The sensor bolts to the Whirligig base plate and the complete assembly either bolts to the machines shaft through a 1/2 in. 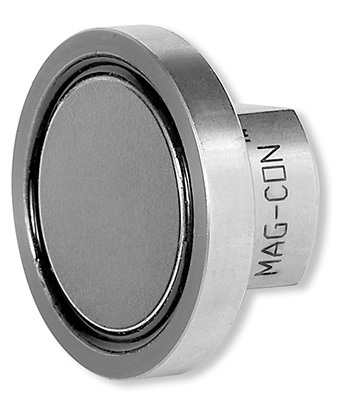 UNC tapped hole, or is connected magnetically using 4B’s patented Mag-Con™ adaptor. 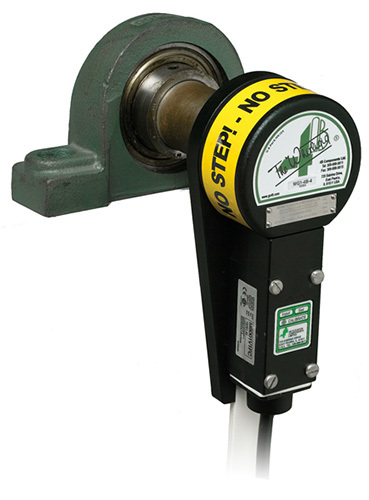 Shaft or machine vibration does not affect the performance of the sensor, as the whole assembly moves with the shaft. 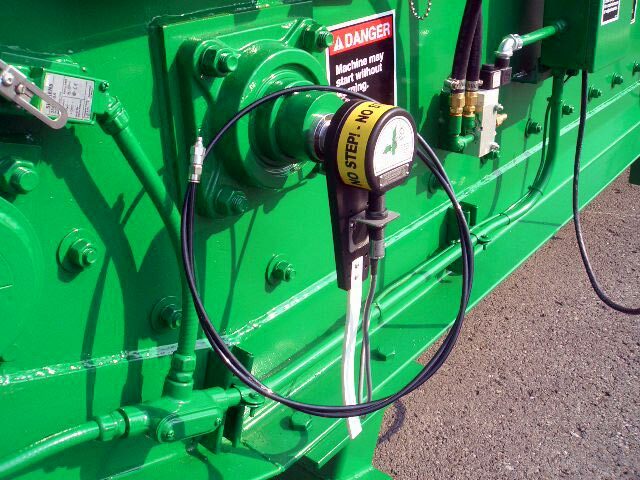 With the Whirligig, installation of speed sensors is now simple, safe and reliable. • Holding Force - Over 150 lbs. 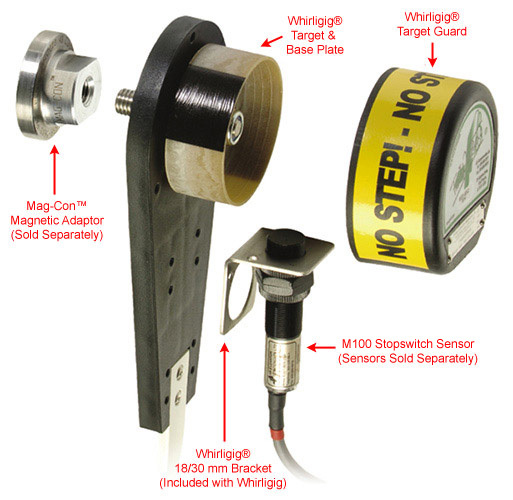 This bracket (WGB1830) is included with the Whirligig, and is a dual purpose mount for 18 mm and 30 mm sensors. 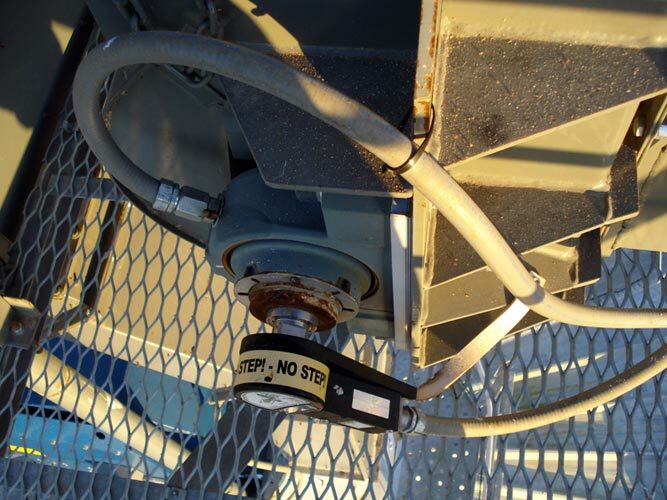 4B's line of speed switches include: proximity, inductive, zero speed and stop motion to monitor dangerous belt slip, underspeed or stop conditions on conveyors, bucket elevators and any other shaft driven machinery. 4B's line of inductive proximity sensors are designed to detect shaft speed, shaft position, gate position, or object presence. 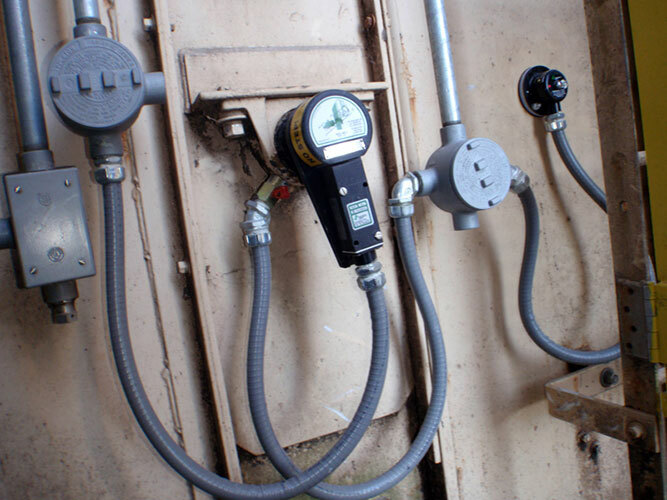 The SpeedMaster™ with Pulse Pilot is the only device that accurately tests the calibration of a speed switch, and allows testing of the alarm and shutdown features of the sensor while installed on the machine shaft.